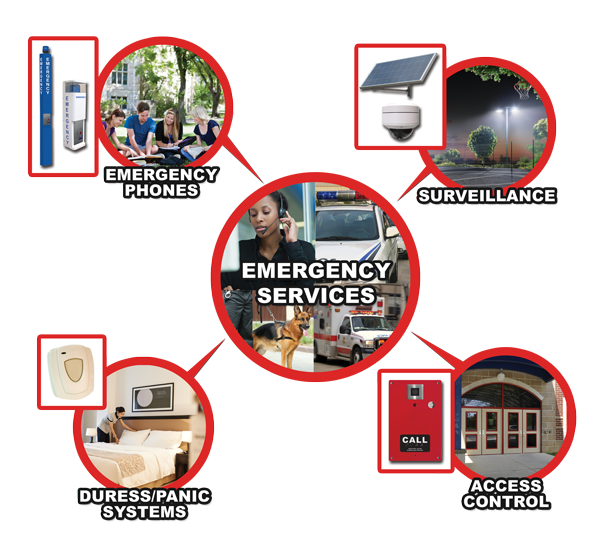 RATH® Security is the largest emergency phone manufacturer in North America and we are proud to offer a broad selection of emergency communication tools like Blue Light Phones, Surveillance, Duress/Panic Systems and more. We offer configuration options for both power and technology which allow for ensuring public safety almost anywhere. Our enclosures can be customized to blend in aesthetically into their environment or stand out for easy identification. Keep your students, visitors, employees, residents or passengers safe with quality and dependable technology. With over 35 years of communication expertise, you can be assured of our unsurpassed customer service and support.